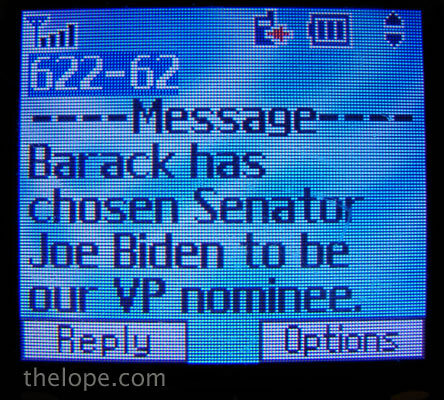 "Barack has chosen Senator Joe Biden to be our VP nominee. Watch the first Obama-Biden rally live at 3PM ET on www.BarackObama.com. Spread the word!" It hit my phone at 2:44 AM Central Daylight Time, August 23, 2008, from number 622-62.